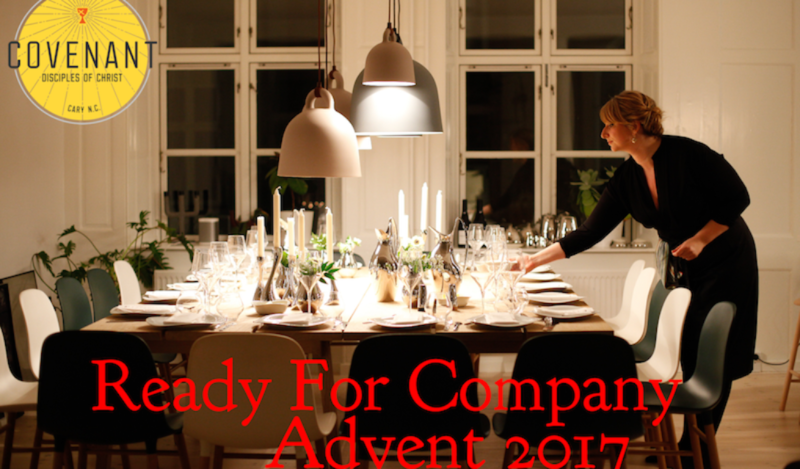 The second week of our advent series “Ready For Company” has us looking at 1 Kings 17:7-24. Our main microphone was not functioning properly this morning, but we were able to pick up Rev. Furr using a secondary microphone. We apologize for the audio quality on this recording. 7 But after a while the wadi dried up, because there was no rain in the land. 8 Then the word of the Lord came to him, saying, 9 “Go now to Zarephath, which belongs to Sidon, and live there; for I have commanded a widow there to feed you.” 10 So he set out and went to Zarephath. When he came to the gate of the town, a widow was there gathering sticks; he called to her and said, “Bring me a little water in a vessel, so that I may drink.” 11 As she was going to bring it, he called to her and said, “Bring me a morsel of bread in your hand.” 12 But she said, “As the Lord your God lives, I have nothing baked, only a handful of meal in a jar, and a little oil in a jug; I am now gathering a couple of sticks, so that I may go home and prepare it for myself and my son, that we may eat it, and die.” 13 Elijah said to her, “Do not be afraid; go and do as you have said; but first make me a little cake of it and bring it to me, and afterwards make something for yourself and your son. 14 For thus says the Lord the God of Israel: The jar of meal will not be emptied and the jug of oil will not fail until the day that the Lord sends rain on the earth.” 15 She went and did as Elijah said, so that she as well as he and her household ate for many days. 16 The jar of meal was not emptied, neither did the jug of oil fail, according to the word of the Lord that he spoke by Elijah.